Thursday was my day for both old and new energies. After a morning appointment in Phoenix, I returned to my coach in Black Canyon City, ready to move on... or so I thought. The predicted high temperature in Phoenix that day was 109 degrees, so I had left the air-conditioning in my coach set at 80 degrees. Upon my return, I sat comfortably in my coach. As the day progressed, the temperatures outside were rising, thus putting greater strain on my A/C. Around Noon, my A/C faltered briefly, but I was obliviously unconcerned. Ten minutes later, the machine seized, causing a flash fire in the controller box above my head. After flipping off the circuit breaker, I could still hear crackling sounds for another thirty seconds. Then smoke poured out of one of the A/C vents. “Not good”, I said to myself. 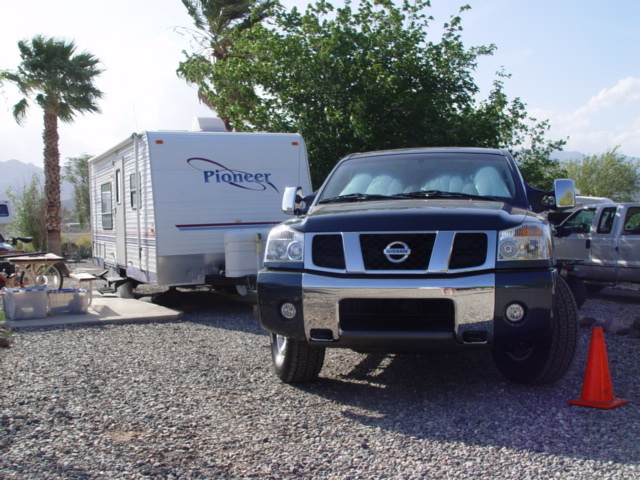 Since it was time to get out of Phoenix anyway, I called ahead to the RV repair shop in Flagstaff and arranged for a diagnosis of my problem later that day. When I arrived at Flagstaff, the elevation of 7000 feet made for a pleasant 82-degree air temperature. The friendly staff at the RV repair facility quickly diagnosed my problem. “Catastrophic meltdown of the controller box”, caused by an unknown failure in the A/C unit was the story. “We have a new one in stock and can install it this afternoon for $825”, the service manager said. “Let’s do it”, I said. While waiting for the installation, I spent an hour with a pleasant British couple who were waiting for a toilet-repair on their rented Cruise America RV. They were plying their way across America on Old Route 66, wherever they could find it. Among other things I learned, gasoline in Great Britain is the equivalent of $20 per gallon and that in the south of England, you cannot water your yard with a garden hose. By seven PM, I was ready to start out on the 177-mile trip east on I-40, to Gallup, New Mexico. Arriving at the USA RV Park here at 10:45 PM MDT, the owner had graciously waited for me in the office until I appeared. If we represent Old Energy through fossil fuels, central air-conditioning, mobile telephones and plug-in electrical, Thursday was my Old Energy day. The only New Energy I could find was in the help that people provided me, good company as I waited for my coach and acceptance of that which I could not change. 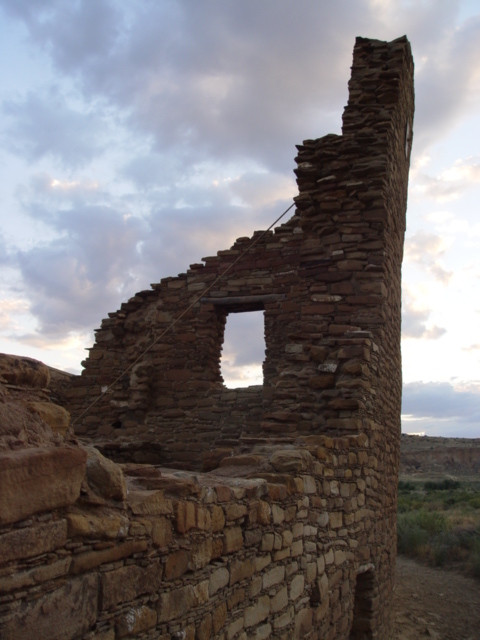 At noon today, I will start out for Chaco Culture National Historical Park (www.nps.gov/chcu/), in Northwestern New Mexico. If Phoenix, Flagstaff and Gallup are Old Energy, “on the grid” cities, Chaco Canyon is a New Energy, “off the grid” place. For the next two days and nights, I will be where no mobile telephone or wireless internet connection dares to go. I will be visiting ruins of “pre-Puebloan”, “Anasazi” or “pre-Columbian” cultures, depending on which description you might like to use. From 600 AD through 1200 AD, Chaco Canyon was the premier human cultural center in Western North America. Tonight, one hundred miles form the nearest large city, I will stargaze with the “local” telescopic community on a near-moonless night. After two nights in Chaco Canyon, I will “emerge” from the land of ancient cultures and make my way to Taos, New Mexico on Sunday, September 16. Until then, please accept my offering of Happy New Energy to you.